Electivire or jolteon for my OU team? Help electivire or Jolteon or is there better choices for Taking electric attacks? May I suggest Garchomp instead of Salamance? I know, just wanted to make a suggestion. If we must choose out of the two I would defiantly go for Jolteon due to its unbeatable speed and Volt Switching ability. Though I suggest neither, instead why not choose Thundurus-T. Your team is weak to Mamoswine either way and the SR damage is easily recovered by switching in on the common electric attack. 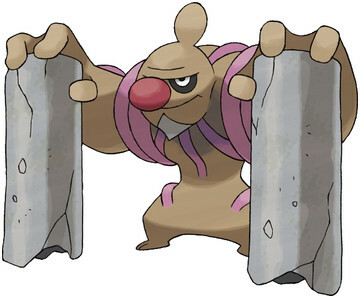 Your team would benefit from another Pokemon with Levitate as Ground types screw you over badly. But yeah if not Thundurus-t then just go Jolteon and Electrivire has no niche in Ou. Jolteon. Your team lacks special attackers. It needs moar. Jolteon is a great choice with Signal Beam, Thunder, Shadow Ball, and Hidden Power Water. Or, if you have no access to that ingame, go Hyper Beam, I suppose. I say jolteon its faster which you don't have to worry about if you want to soak up electric attacks but most of all its got more special attack wich is what you are going to want in the rain for thunder so here are some good movesets for both of them. Use Jolteon! It's speed is amazing, and its special attack is awesome! Instead of Salamence, I suggest you use Garchomp, as it is faster and its attack power is amazing! having discharge and thunderbolt is a waste of a moveslot, and there is absolutely no coverage. Should I use Jolteon or Electivire for my team? Tyranitar or Hippodown for OU Sand Team? Is this Azumaril good on my part sun team(Actually OU team)? What does UU team and OU team mean? Dragonite or Salamence for OU and extra...?